Remember that toddler’s potty equipped with an iPad dock? That was depressing. I didn’t think it could get any worse. But I was wrong! AS PER USUAL. 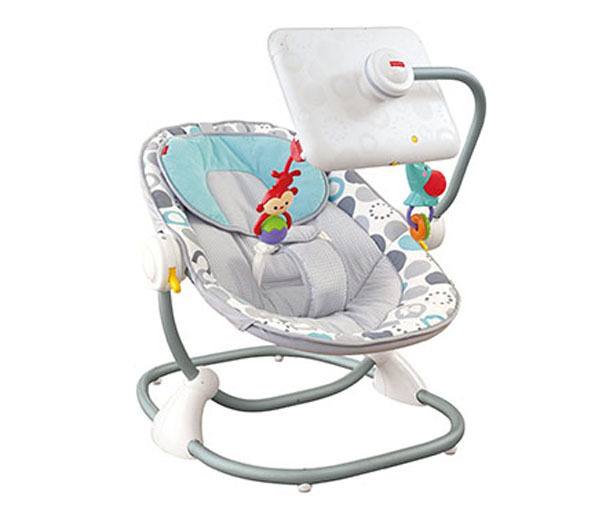 Now Fisher Price is selling this iPad Apptivity Seat, a baby chair with an iPad holder so newborns will never have to interact with the world around them. Just strap that little clinger-on into the chair, fire up the iPad, and go do whatever the hell you want. Sure you’re little bundle of joy will probably grow up to be complete sociopath, but the robots or aliens or whoever will have already taken over the planet by then and destroy people like you. So no worries!